A refreshing and lively scent of a unique land of contrasts. A perfect memory of a sunny morning walk overlooking the sea deepening into the bitter Chinotto and Mandarin trees. The delightful embrace of sand and sea echoes in the sunny touches of Jasmine and Geranium notes, then is refreshing by the energetic notes of Rosemary and Cardamom accents. Finally, Patchouly and Musk accords evoke the silence and peace of an untouched nature for a pure moment of well-being. With the introduction of Acqua di Parma Colonia in 1916, the Acqua di Parma brand has become sought after around the world. 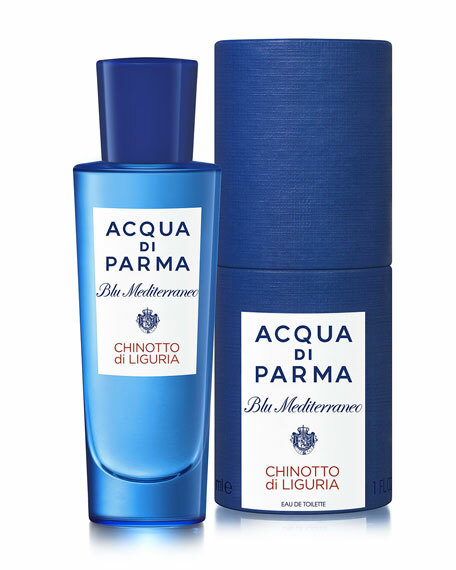 Appealing to men and women, Acqua di Parma offers a prestigious collection of award-winning, handcrafted personal care products that are made using the highest-quality ingredients and traditional Italian techniques.